Denna produkt ger dig 206 bonuspoäng. Professional mechanical equipment for metal-working companies. 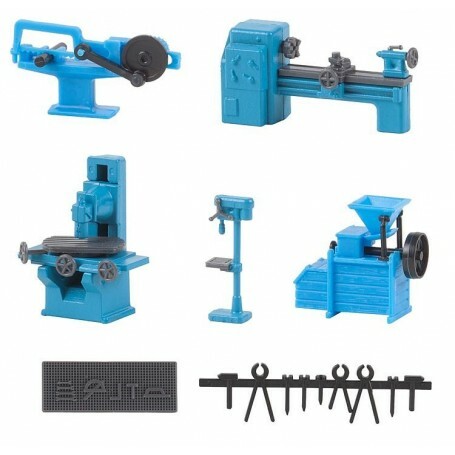 Set comprised of milling machine, pillar drilling machine, reciprocating hacksaw, turning lathe, tool board on the wall and various forging tools. This building kit contains: 77 single parts in 3 colours and 1 construction instruction.